On this 9 day private-guided adventure through the Galapagos Islands you will see truly unique wildlife! Traveling to several islands, you get substantial exploration ‘range’ throughout the archipelago, all in spectacular comfort, and with terrific food! 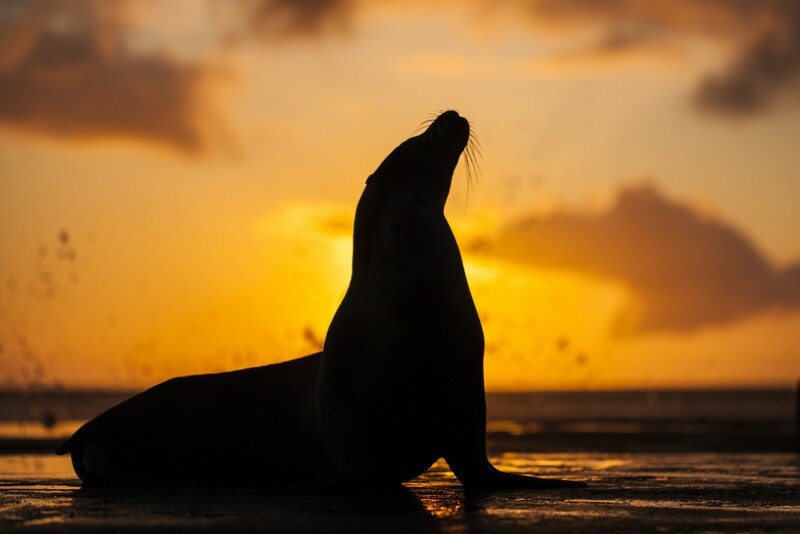 The land-based program has you staying in wonderful boutique hotels on the islands of the Galapagos, giving you the opportunity to get up close to the wildlife, and to visit with some of the local human inhabitants. 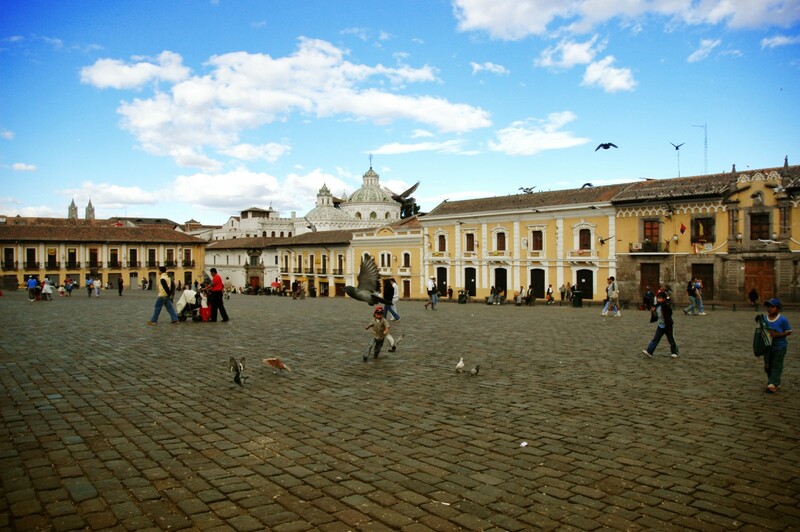 The trip is filled with activities, like paddling, swimming, snorkeling, hiking, and provides a dose of culture and history too, with a visit to Quito, the ‘middle of the world’, and villages in the Galapagos Islands. We dive into adventure just after we arrive! We will enter the airport through a special VIP lounge where you will have a chance to change clothes, put on some sunscreen and get a cool drink before we transfer to the Itabaca Channel to explore its turquoise waters. 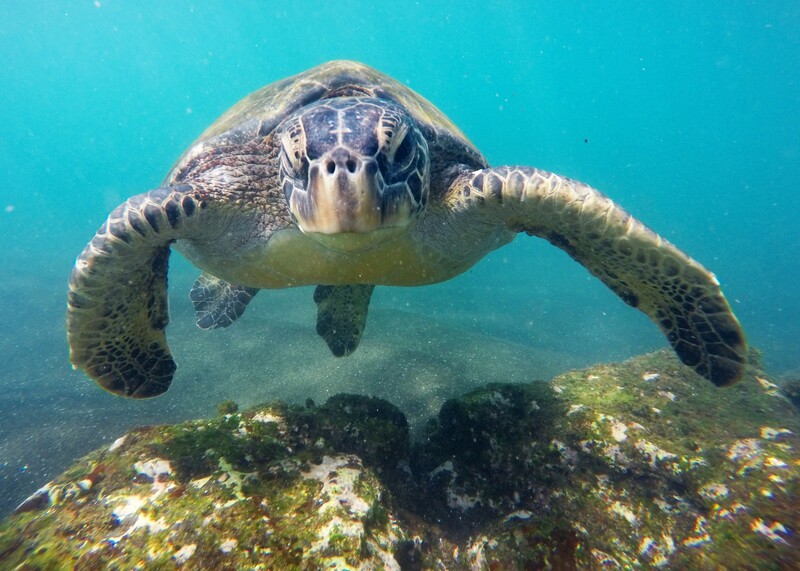 We will have a chance to kayak, snorkel and stand up paddleboard (SUP) where we will see some of the famous Galapagos wildlife such as blue-footed boobies, sea lions, brown pelicans, a variety of herons and white-tipped reef sharks. There’s no better introduction to the Galapagos than to get on the water upon arrival! We will glide through beautiful red mangrove forests and along lava rock cliffs on water so clear we can see sea life in the shallows. Our ocean (sit on top) kayaks come in doubles or singles, and life jackets are provided. A support boat escorts us throughout the water activities to ensure safety and to provide water, snacks and towels between activities. From Itabaca Channel we head up to the Santa Cruz highlands to one of the private reserves that borders the National Park where the famous Giant Tortoises inhabit in the wild. We will enjoy lunch at the reserve. After lunch we will drive to where our exclusive giant tortoise reserve and tented camp is located. Perched high on a hillside overlooking the ocean, Magic Galapagos Tented Camp will be our home for the next two nights. The sounds of nature will be our lullaby in the evenings, and the Milky Way will be our night-light. We’ll be able to feast our eyes on the mountains and forest surrounding the lodge, and enjoy the peace of having the entire hillside to ourselves, with the exception of seasonal resident giant tortoises. Embark our motor yacht and enjoy a private full-day excursion with welcoming crew members and a knowledgeable naturalist guide, and experience the remote islands in comfort and style. 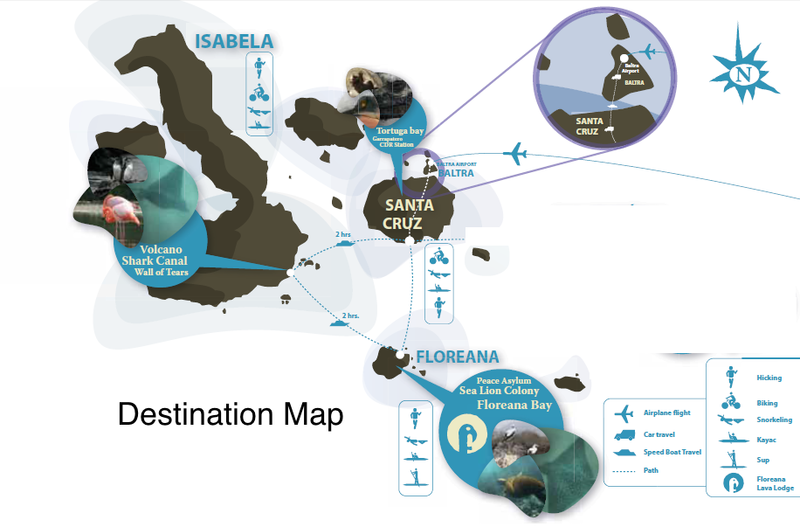 Again, you can swim, snorkel, kayak and SUP as you observe various species of the famous Galapagos wildlife. The location for today’s excursion depends on the day of the week: Mondays and Thursdays visit North Seymour and Bachas; Tuesdays and Fridays visit South Plazas; Wednesday visit Santa Fe Island; Saturdays visit Bartolome and Sullivan Bay; Sundays visit to Bartolome. After a final breakfast at Magic Galapagos, we say goodbye and depart for Floreana Island. We will leave early for our two-hour speedboat crossing. Once we are settled in, we can walk or paddle (kayak or stand up paddleboard) to nearby Black Beach for some snorkeling. After time in the water to whet our appetites, we will walk to a restaurant in the nearby village for lunch. The restaurant is part of a community tourism initiative. After breakfast, we leave to explore the Floreana highlands on our open-air bus (chiva) – an unbeatable, historic, and comfortable way to see the island. On the way, our naturalist guide will share the colorful history of some of Floreana’s first inhabitants, such as the Wittmers (whose descendants still live on the Island), the Baroness, and the pirates that once visited here. They will also tell us about the “Enigma of Floreana,” involving the mysterious deaths of several of the Island’s inhabitants. The enigma is a riddle from the 1930’s that has never been solved and was featured in the film “The Galapagos Affair”. From La Primavera farm we continue by chiva down to Las Palmas, where the Island’s first permanent inhabitant, the eccentric Dr. Ritter, lived and is buried. Arriving in 1926, the German physician believed that with a combination of exercise and the right vegetarian diet he would live to be 150 years old. He didn’t, but his story is one of the many strange episodes that make up the intriguing history of the island. Making our way back to the lodge, we will be treated to spectacular views of the Floreana shoreline. Back at Lava Lodge we will prepare a very special barbecue lunch, featuring delicious Cruz family recipes! After lunch, we have a free afternoon. Practice your kayak or SUP skills, go snorkeling in La Loberia or simply relax and take in the beautiful Galapagos views from the Lava Lodge. Today we take an early morning speedboat and transfer to Isabela Island where we will check into our hotel. Our Isabela adventure begins with a tour of the Tintoreras, a group of small islands near the village of Puerto Villamil, that are named after the white tipped ‘Tintoreras’ reef sharks that swim in these calm waters. A Galapagos in miniature on the Tintoreras you will see almost all of the archipelago’s iconic wildlife: white tipped sharks, sea lions, turtles, rays, penguins, and of course pelicans and blue footed boobies. You will have a chance to snorkel in the bay – and don’t be surprised if some of the penguins or sea lions jump in to play alongside you in the water. In the afternoon we walk from our hotel to the local giant tortoise-breeding center and on the way we may catch a glimpse of pink flamingos feeding in a lake. Once at the Center our guides will explain the process of breeding and then releasing into the wild these giant slow moving creatures whose Spanish name (meaning saddle) gave the Islands their present title. The breeding center is an important conservation tool and it is here that the islands’ giant tortoise population is presently recovering. 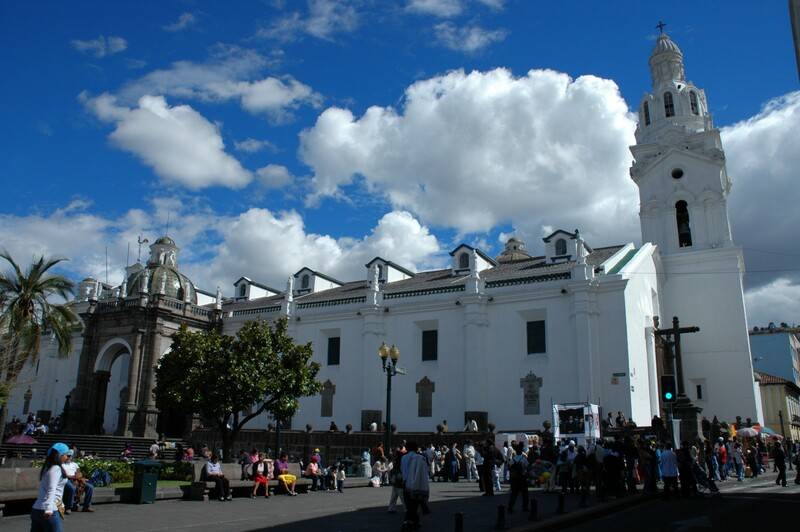 Today we take an early morning speed boat back to Santa Cruz and then transfer by land to Baltra for a flight back to Quito to catch your international flight home. Galapagos Magic is a million miles from the world’s hustle and bustle. Set in the highlands of Santa Cruz (and away from the waterfront crowds), this totally unique property surprises and delights. All tents – 4 elevated tree houses and 6 raised walk-in tents – have gorgeous views, and guests are surrounded by nature as they sleep. Magic is a place to relax, walk the beautiful mountainside, turn your gaze to the beautiful heavens and to admire nature. Giant tortoises call Galapagos Magic their home much of the year, and guests might see a handful slowly moving through the grounds or many dozens dotting the meadow. Floreana Island is surrounded by mystery and enchantment. One of only four inhabited islands in the Galapagos, it is home to a wonderful, secluded spot right on the water: Floreana Lava Lodge. Floreana is a place from another age – quiet, undisturbed, undeveloped and utterly peaceful. There’s no other place like it in the Galapagos archipelago or perhaps in the world, and Floreana Lava Lodge is the perfect place to slow down and soak in the magic, away from the crowds found on other inhabited islands. Located in Puerto Velasco Ibarra, Lava Lodge is owned by members of the Cruz family, one of Floreana’s longest-residing families. Built on black lava sands near the ocean’s edge, the lodge’s cabins are situated on one of the best sites on the entire archipelago for sea views and gorgeous sunsets. It’s comfortable and cozy, with friendly local service and a casual, relaxed air. Much of the food served at the lodge is grown by its owners, including the many freshly squeezed juices you might enjoy with breakfast, along with some just-collected eggs. They will have been brought from the Cruz farm the night before or early that morning. IsaMar is idyllically located on Isabela’s beautiful white sand beachfront. Its setting gives guests sweeping Pacific views, swaying palm trees and white sand beaches. The beautiful Galapagos retreat is walking distance to the tortoise breeding center, flamingo lagoon, water activities and to the sandy streets of town where guests will find bakeries, restaurants and bars. IsaMar’s rooms and family suites are the perfect base for exploring Isabela’s wonders. Hearty meals are available to fuel visitors for hikes and water activities, and outdoor social areas are ideal for taking a siesta, reading a book or stargazing late into the evenings.